There is a need to bring back teachers with Masters Degrees in English and Science subjects to teach in secondary schools. Hence, in Government’s efforts to improve the education sector, he added that allocations had been made towards scholarships for school teachers. 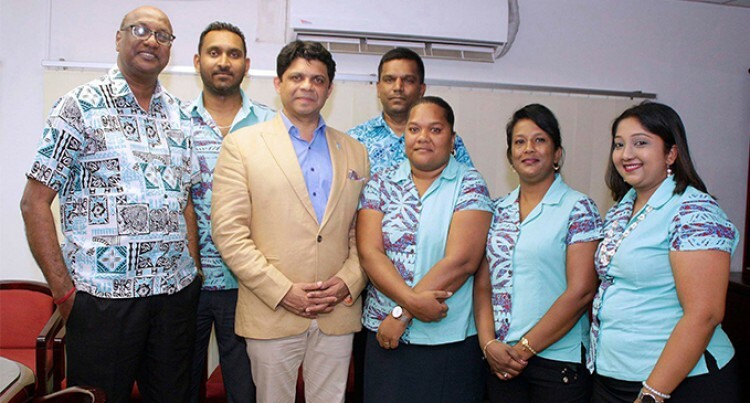 This was highlighted by the Attorney General, Aiyaz Sayed-Khaiyum during the 2018-2019 Post Budget roadshow at Korovuto College in Nadi on Friday night. He said one of the major challenges faced by schools was the shortage of teachers who specialised in science subjects like Maths and Physics. Mr Sayed-Khaiyum said during his high school days many of his teachers had Masters Degree qualifications adding that there was a need to bring back that system. “Very few schools now have teachers who have Masters in specific areas of studies. We don’t have that anymore and now we want to bring it back. “We are offering scholarships for teachers who have been in the system with diploma level qualifications to pursue undergraduate level studies for the 30 scholarships that are available in subjects like Physics, English, Information Technology, Industrial Arts, Special Education and Early Childhood Education,” he added. Mr Sayed-Khaiyum said scholarships were also made available for teachers with a bachelor’s degree to pursue a postgraduate degree. Furthermore, he added that PhD scholarships were also available for teachers specialising in Maths, Physics and English. Apart from teachers, Mr Sayed-Khaiyum said they have scholarships also available for other civil servants in sectors like fisheries, teacher training, tourism, fisheries and agriculture. The minister and his team were also in Lautoka continuing the roadshow yesterday.